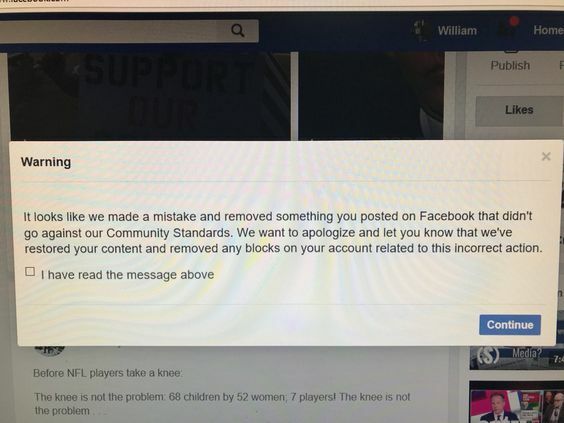 The Washington Times (View) and Breitbart News (View) ran articles yesterday reporting Facebook's 24-hour suspension of ALIPAC's President William Gheen and censorship of comments over fake allegations of "Hate Speech" which led to a follow-up report from the Washington Times carrying a surprising apology from Facebook. However, Facebook's written promise to restore the deleted post has not manifested at the time of this release. This Facebook comment was reported by The Washington Times 12 hours ago, and William Gheen received a notice from Facebook apologizing and claiming "we restored your content." "We are so thankful The Washington Times and Breitbart News were able to get a response from Facebook and that Facebook apologized for the wrongful ban and branding of our comments as 'Hate Speech,' yet we are puzzled they have not restored the comment as promised," said William Gheen, President of ALIPAC. 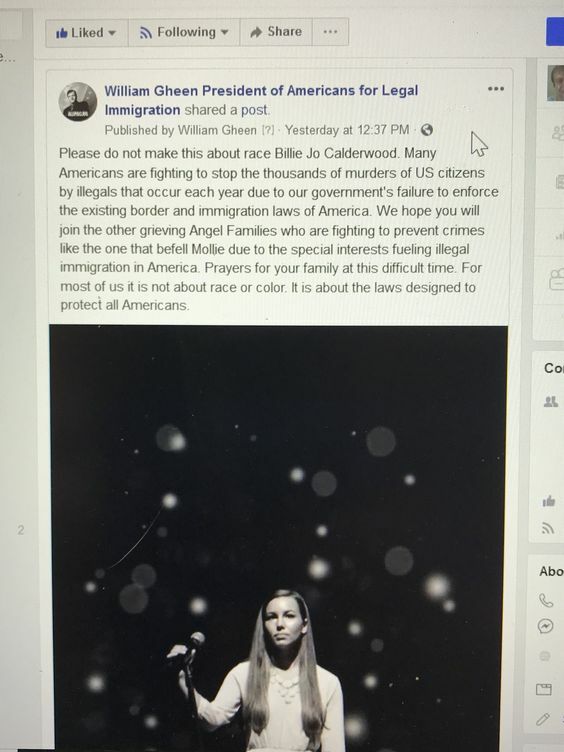 "Also, our hearts go out to all of the Americans out there being wrongfully censored by Facebook who do not have the means to get their story out. Facebook needs to end all censorship and suppression of our treasured free speech rights in America immediately as there is a clear pattern of bias and abuse against conservatives, Christians, and Republicans who do not share the far left values of the vast majority of Silicon Valley tech workers." ALIPAC has been the target of censorship, suppression, and shadowbanning by Google, Twitter, and Facebook due to the organization's rigid opposition to Amnesty legislation for illegal aliens and its efforts to gain national exposure for the many problems illegal immigration causes for US citizens. Last edited by ALIPAC; 08-24-2018 at 12:23 PM. stoptheinvaders, MW, GeorgiaPeach and 2 others like this. Facebook and others appear more frequently to censor, delete posts and comments of those with opposing views, views unacceptable to them, especially from conservatives. They may suspend or delete accounts in their censoring. Then if their actions garner negative attention, they may issue an apology and/or restore content or accounts. Facebook, MasterCard, VISA, Google, YouTube, Twitter, others seem to desire to dictate what is acceptable for consumers to say, to read, to purchase, etc., even when it poses no danger or threat. Americans need more avenues to reach out to get their messages to the people. Thank you Alipac for being vigilant in exposing this censoring of messages to the people and for shining a bright light on these actions that seem to be ramping up against patriotic voices, conservatives, others. stoptheinvaders, Beezer, imblest and 1 others like this. Last edited by GeorgiaPeach; 08-24-2018 at 11:14 PM.